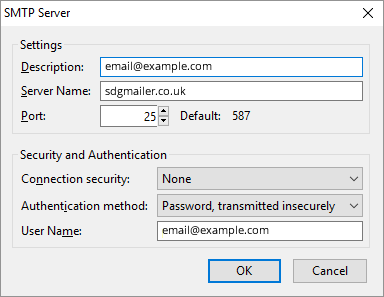 Click Tools in the top File Menu Bar and then click Account Settings from the drop down menu..
Once the Account Settings window is open you can then select the email account you wish to edit. 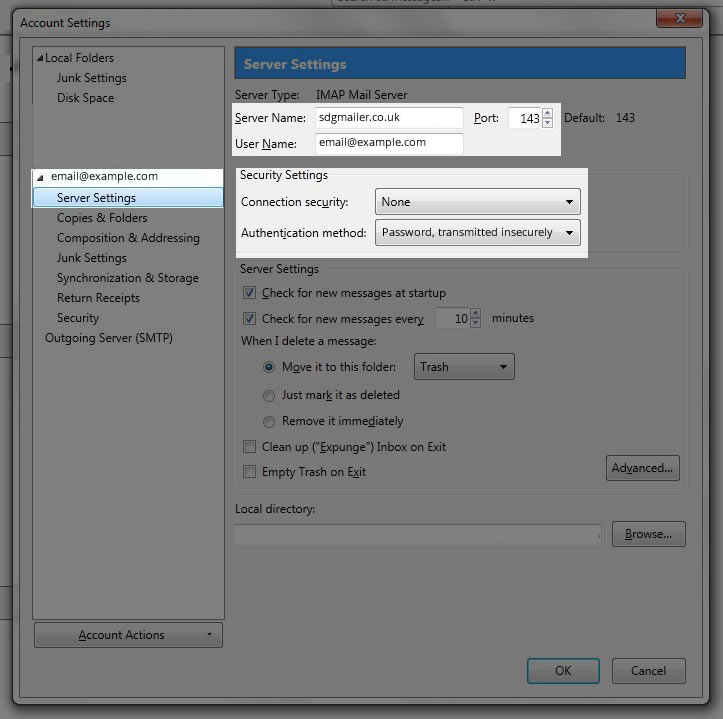 Select Server Settings listed beneath your email account on the left hand side. 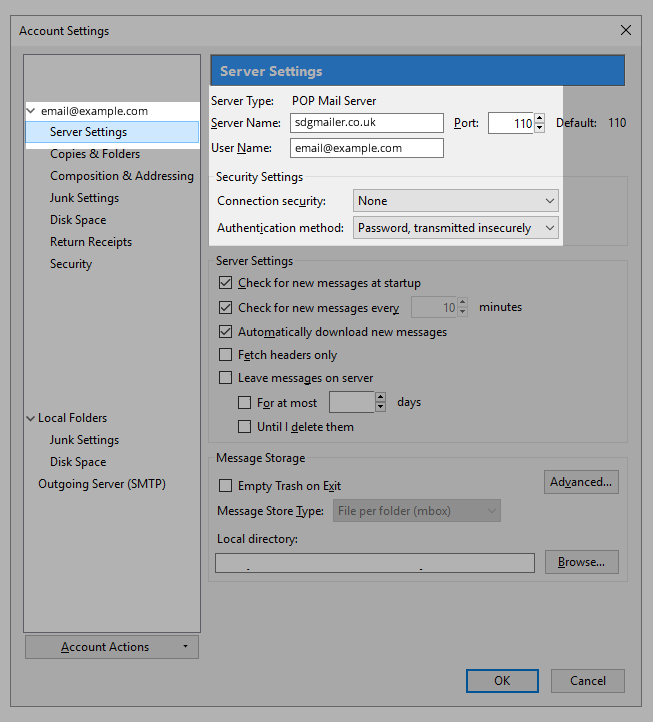 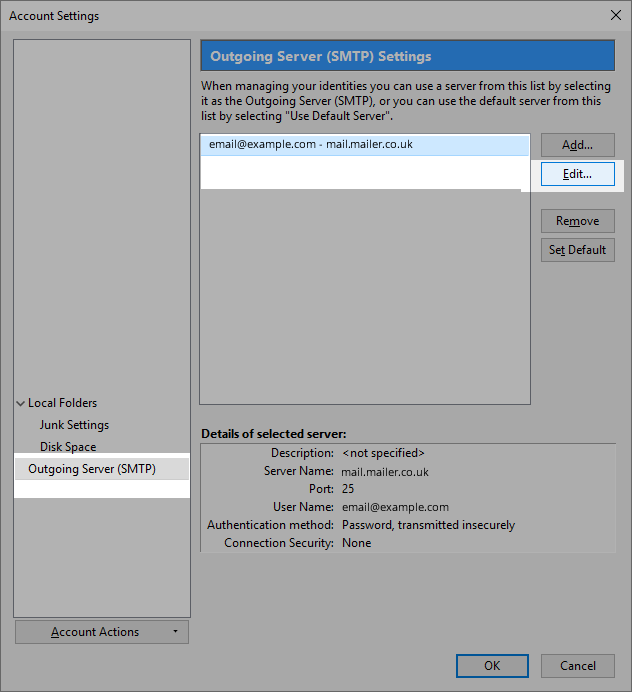 The SMTP Server Settings window will now open. 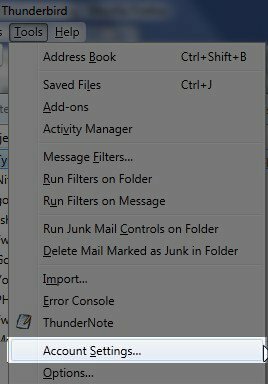 Enter the following into this window.